TopGameCoins - low prices, fast delivery and 100% guaranteed. Buying from us the FIFA 19 coins for the PlayStation 4 you can be sure of the security of your account! - A huge number of successful sales and positive reviews. If you want us to compensate the EA commission (5%) leave a positive feedback immediately after payment. 1. Pay for your purchase, in the right upper part of the page you can enter the number of coins (1k = 1 thousand) or the amount of the purchase, then choose the payment method that suits you best and click on the BUY button. Follow the instructions below. 2. Pre-contact us through the internal chat of Plati.ru (chat on the site) and find out if the number of coins you need is available. 3. Pay for the purchase, after payment you will receive a unique 16-digit code. 4. Report the code to us, after which we will begin to fulfill your order. 5. After payment, you will be provided with the necessary instructions for placing the consumable items (players) on the transfer market. ATTENTION! According to the rules of the game, the purchase of game currency or any other transactions for real money is prohibited, in case of sanctions from the administration of the game, we are not liable for either your team or the money spent. Paying for the purchase, you agree to take full responsibility for yourself. The goods have a delivery guarantee on the site within 1 hour (you can make sure on the payment page, this is written under my nickname). If within 1 hour I do not deliver the coins, you will be able to make a refund yourself. ATTENTION! According to the rules of the game, the purchase of game currency or any other transactions for real money is prohibited, in case of sanctions from the administration of the game, we are not liable for either your team or the money spent. Paying for the purchase, you agree to take full responsibility for yourself. We recommend to spend coins immediately after receiving them. ATTENTION! In FIFA 18 added a new clause to the user agreement. It looks like this "in no way can you be engaged in the targeted accumulation of coins." 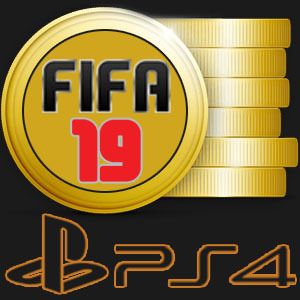 In this regard, I recommend after buying coins, and even after selling expensive players from packs, immediately spend coins, since you yourself know how "good" and "without bugs" the fifa has been working in recent years.